Are Hubble Contact Lenses Really ‘Half The Price’? Today I find myself writing another article about Hubble Contacts. Hubble contact lenses are quickly gaining a reputation for being an extremely inexpensive alternative for daily disposable contact lens wearers. Previously, I have written an article that shows that Hubble contact lenses are in fact more expensive than several other mainstream brands. You can read it here. While this article focuses mainly on the price of Hubble Contacts, you can read my complete review of Hubble Contacts here. 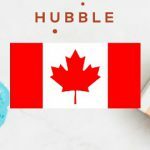 If you’re Canadian and considering Hubble Contacts, I’ve written an articling examining if the price is worth it for Canadians. You can read that article here. I didn’t want to do another article about it, but as a contact lens price comparison site, I felt I had to address Hubble Contact’s main claim of being ‘half the price’. Daily contacts. Half the price. First box free. It’s a good headline, but it is true? Obviously, I have no problem with 2/3 of it. Yes, they sell daily contacts, and they do in fact give the first box for free. But what about the ‘half the price’? There are actually so many things wrong with that statement, that I had trouble finding where to start. Nevertheless, here’s my best attempt at breaking it down. Since writing this article, Hubble Contacts has actually stopped using the motto ‘Daily contacts. Half the price. First box free’ (maybe after they read this article?). They have now started using the motto ‘The more affordable daily contact lens brand’. Nevertheless, you’ll still find the rest of this article interesting because it shows you how the price of Hubble Contacts compares to other popular brands of contact lenses. Half the price… compared to what? Probably the single biggest reason why it makes no sense to claim that Hubble contact lenses are ‘half the price’ is that there is no mention of what they’re ‘half the price’ of. First of all, let’s establish how much a 1-year supply of Hubble contact lenses costs. The calculation is pretty simple. A one month supply (60 lenses) costs $30 flat. So a 1 year supply costs $360.00 USD ($30.00 X 12). Now we have a basis for making some actual comparisons. What does it take to be ‘half the price’? Their competitor has to be at least 2x more expensive. There has to be contact lenses out there that cost at least $720 USD for a year supply for their claim to be true. Now let’s run through the gamut of all the things they could possibly be comparing their price to. Obviously not. 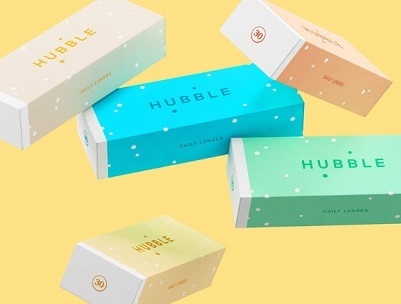 Hubble Contacts sells daily disposable contact lenses, not monthly contact lenses. Price wise, a year supply of typical monthly contact lenses would be 1/3 or less of an equivalent supply of Hubble contact lenses. Nope. Although bi-weekly contact lenses cost more than monthly contact lenses, they are still less expensive than daily disposable contact lenses. 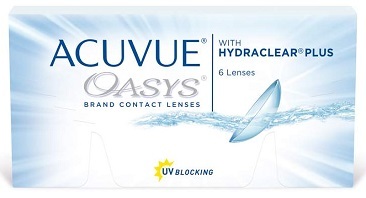 The most common brand of bi-weekly contact lenses is Acuvue Oasys. But that’s not surprising. Common sense would tell us that when they claim to be ‘half the price’, they’re talking about other daily brands. So let’s see if Hubble contact lenses are actually half the price of other daily contacts. Comparing Hubble Contacts to other brands of daily contact lenses is the only thing that makes sense. You will see that all 5 of those brands are less expensive than Hubble Contacts. That’s far from the claim that Hubble contacts are ‘half the price’. 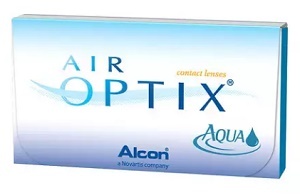 Acuvue 1-day Moist are a popular brand of daily disposable contact lesnes manufactured by Johnson & Johnson. 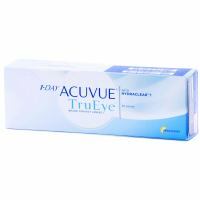 Acuvue TruEye is another daily disposable contact lens from Johnson & Johnson. This brand was one of the first brands of daily disposables to be made from a silicone hydrogel material. 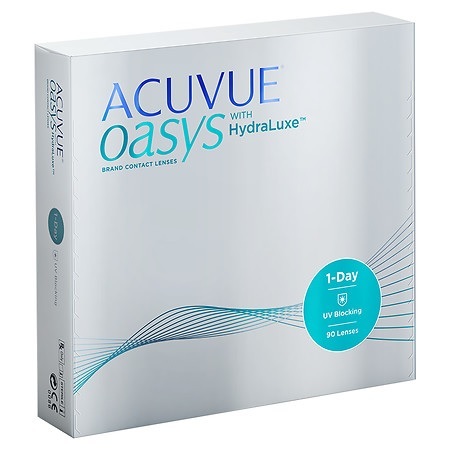 Acuvue Oasys 1-day is Johnson & Johnson’s latest daily disposable contact lens made with HydraLuxe technology for maximum smoothness and comfort. 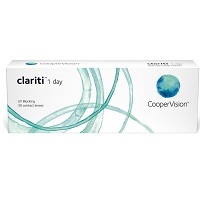 Clariti 1-day is a brand of silicone hydrogel that was first made by the company Sauflon but was later acquired by CooperVision in 2014. MyDay is the latest brand of daily disposable contact lenses launched by CooperVision. MyDay rivals some of the best daily lenses on the market. 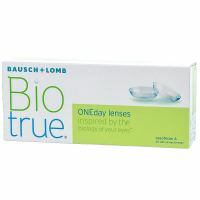 Biotrue ONEday is Bausch + Lombs most recent daily disposable contact lens. It utilizes a very unique contact lens material called Hypergel. 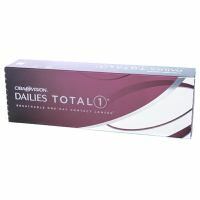 Dailies TOTAL1 was the brand that launched the revolution in daily disposable contact lenses with its water content gradient lens. I have now compared the price of Hubble contact lenses with every other major brand of daily disposable contact lenses. Remember that the point of this was to test the claim that Hubble Contacts is ‘half the price’. If Hubble Contacts was half the price of any of other brand, they would be over 50% cheaper, or put a different way, its competitor would be more greater than 2x more expensive. The comparison charts above show that Hubble contact lenses are not ‘half the price’ of any other brand, even the most premium (expensive) brands likes Dailies TOTAL 1, MyDay and Acuvue Oasys 1-day. So where exactly does Hubble Contacts stand when it comes to price? If one thing is for sure given the information that I presented in the article, is that Hubble Contacts is equivocally NOT ‘half the price’ of anything. Now you know. Of course, all the prices I quoted above were from the website Lens.com. If you still purchase your contact lenses from your eye doctor or from a website that overcharges for contacts. Then that will certainly skew the above analysis. To make sure you always know where all the lowest prices for contact lenses can be found, it’s important to consult a contact lens price comparison site like Contacts Advice. If you don’t know which website has the lowest price for the brand that you’re looking for, you might be paying as much as you would at your optometrist office (or more!). The next time you’re ready to purchase new contact lenses, it’s important to shop around to get the best price for your contact lenses. Hi I’m Julie – founder of Contacts Advice, and I’m here to save you money! Here at Contacts Advice, I’ve made the process as simple as possible. Since I launched Contacts Advice in 2015, my mission has been to save contact lens wearers as much money as possible. That’s why I find the lowest prices for every brand of contact lenses so that you never overpay for you contact lenses again. What Can You Expect From Contacts Advice? Never overpay for contact lenses again! Are Hubble Contact Lenses Really That Cheap? I’m glad you asked! Your question perfectly demonstrates the insane variability in contact lens prices that result in most people overpaying for their lenses, often by hundreds of dollars. The price I quoted for Biotrue ONEday 90-pack was $49.99 per box (when you buy 4 boxes or more) at this website. This site does charge for shipping and processing, meaning that a 1-year supply (8 boxes) would add up to $455.34, which is a heck of a lot better than $800! But believe it or not, you can do even better than that. Check out this website which has the same price, but without that processing fee! At any time, if you want to know where the lowest price is for your brand, check out Contacts Advice’s homepage. You’ll find a chart that lists the price of your brand at the top 10 contact lens websites. Also, you can always reach out to me on Facebook for a free contact lens price consult where I reseach your brand at over 20 contact lens websites to uncover the best price for the brand and number of boxes that you’re looking for. So basically a commercial for lens.com….The problem with hubble contacts is that contacts have to be prescribed by someone licensed to do so and hubble is not licensed to do that. I don’t know if any doctors have a hubble trial lens set in their office. I have never meet a representative of hubble. I don’t even know what they are made of. If they are selling contacts, each and every one is done so illegally. Thanks for sharing that important insight about Hubble contact lenses. I completely agree with you that contact lenses should only be prescribed by qualified professionals. Your point about doctors not having access to trials of Hubble contacts is interesting and raises a few questions in my mind. 1. Could people interested in buying Hubble contacts order them using a valid contact lens prescription, and then bring them to their optometrist to be assessed for their fit? 2. 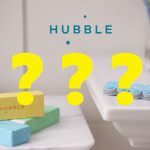 Does the prescription validation process that Hubble has on its site satisfy the legal requirements for selling contact lenses online? Doesn’t the prescription validation process offer the prescribing optometrist the opportunity to block the sale contacts from Hubble? 3. The material that Hubble uses for their contact lenses is Methafilcon A, a (rather old) material used in other brands such as Vertex and Frequency 55 by CooperVision. If patients approved for wear in one brand that uses Methafilcon A, does that mean they would be able to wear other brands that use the same material? Also, I am impartial to both Lens.com and Hubblecontacts.com. My goal is only to help people shopping for contact lenses online find the best price for their contact lenses. I had to pick a website to compare the price at Hubble to something, so to prove the point that Hubble isn’t the least expensive, I chose Lens.com because they happen to have the lowest prices for a lot of brands. 1. You can’t get a valid contact prescription without the doctor FIRST putting the lens on your eye and making sure it fits properly. 2. How can they verify a prescription for a contact lens that has never been fit in the doctors office. As reference in point (1), there is not a prescription without the Dr. Seeing contact lens on your eye. 3. There are reasons no one fits Vertex and Frequency 55 lenses anymore. There are better materials available that are healthier to wear and more comfortable. Also, just because it is the same material does not mean it is the same diameter or base curve. There is more to fitting than just material. 4. Maybe you should talk with some doctors offices. Most of the time we are in line with or cheaper than on line places. I know at my office most of the time you can get an annual supply cheaper than online. Also, if we are more it’s by maybe $15-20 for the year. I don’t understand why you wouldn’t want to support you eye doctor for such a small difference. We do not want to rip you off, we want to help you see better! Also, just realize it is hard for us to compete with some of the online places with some products. With some brands places like Costco are selling them for cheaper than we can even buy them. So, no, we are not trying to rip you off, we just can’t buy in such a large quantity (and then ship to hundred of stores) that we can get that cheap of a price. It is so frustrating that patients expect us to do all the work but complain about the contact lens evaluation / fitting fee, when they are not even buying product from us. Like we are suppose to do the work for free. Same goes for glasses. Why should we adjust the glasses you purchased on line. That is a service we offer to the people that actually buy glasses from us. I’m so tired of hearing how the private doctor is trying to rip people off. Thank you for your thoughts. I don’t think we actually disagree on anything here… but allow me to share my thoughts on on your points. 2. Completely agree. The doctor in the original comment made an interesting point about Hubble’s contact lenses being sold illegally. I’m no expert in this, but he/she seems to be making a valid point. However, Hubble seems to be thriving, and they’re currently expanding to different countries. If their business in fact was illegal, how could they have gotten this far? 3. Completely agree. In fact, I’m fairly certain Vertex Sphere and Frequency 55 sphere are actually discontinued by CooperVision. This goes to show you what kind of quality you’re getting with Hubble contact lenses. If you ask me, it’s not a great sign if they use a material that’s been around for a decade or more, and whose quality has been surpassed by so many of other brands that it’s actually being taken off the market by major manufacturers like CooperVision. 4. Completely agree. I encourage price shopping for contact lenses, and that includes at doctor’s offices. If people can get their contacts at the lowest price from their eye doctors, then I see very little reason why they shouldn’t buy from them. But if the lowest price is elsewhere, then it’s up to the customer to decide where they want to spend their money and who they want to support. What I don’t like seeing is contact lens websites claiming they have the lowest prices, but in fact they are 1.5 to 2 (and sometimes, 3) times more expensive than other websites. That is why I do contact lens price comparisons, so that if people do decide to purchase online, at least they’re getting the best price. I use to work in an eye doctor’s office myself. I understand why their prices are the way they are. I use to tell patients exactly what you wrote in your comment, but to many it just went in one ear and out the other. For some people, all that matters is getting the best price, and I completely understand and sympathize with people who want/need to be careful with their money. Regarding doing adjustments and fittings for free, I completely agree that that isn’t fair and shouldn’t be expected by people. Optician, you are clueless. If you can buy a car for $30,000 in the next town over, but the dealership you get your oil changed at sells the same car for $43,000, I hope you are paying the $43,000 because that’s what you expect your customers to do. They are paying you to properly fit them with contact lenses. You are not doing it as a charitable thing. Buying more expensive lenses from you does absolutely nothing to improve their eyesight. Why the heck do you think you’re “owed” your customers buying more expensive products from you? I tired Hubble and found quick responses and easy to work with. The problem I’ve run into (and why I canceled my subscription) was in the 15 years I’ve been wearing contacts I’ve never had a fit issue…until now. On 3 different occasions, the contact has slipped and gone to the side of my eye or the top mimicking my contact falling out until I noticed it was uncomfortable and that the lens was still in there. Has happened on different shipments and different eyes. Hi Shannon, thanks for the feedback. It’s unfortunate that it didn’t work out for you. Your experience is not all too surprising to me considering the Hubble contact lenses are made from a pretty old contact lens material. Also, it’s important to keep in mind that not every brand will work well on everyone’s eyes. Even the newest and most technologically advanced brands don’t sit well with some people. Unfortunately, that’s just how it goes with contact lenses. These lenses are CHEAP and you can feel why! They are incredibly uncomfortable and very irritating to the eyes. Also, the ship your paid 2nd order well before the first order is done and then make it nearly impossible to get a refund for the unwanted second order. Plus you cannot cancel online. You have to speak with someone by phone, yet the number online is no longer in service, so you have to email them saying you want to cancel, then they send you a non-published number to call, and then when you finally do speak to someone they cannot refund you without your mailing back the 2nd box first. Bottom line, they have cheap sh*@#y contacts and are running a racket. Hi Michael, that’s really terrible, wow. You bring up a good point about them shipping the second box before you finish the first. Ever since I first read about their subscription model, I wondered how practical it would actually be, because most people don’t wear their contact lenses every single day of the year. That means that every month they would accumulate more and more contact lenses until eventually, they would have to cancel the subscription just so they can use up their supply. The comfort is another issue. Most people start out wearing contact lenses by getting a fitting from their eye doctor. That gives eye doctors the opportunity to evaluate the fit and comfort of a specific brand, and once approved for a certain brand, you can then purchase it online at a lower price. But eye doctors do not carry Hubble contacts, and thus never prescribe them. With Hubble, there is no way to get a fitting for them until after you have ordered them. The fact that the first box is free allows you to do this at no cost to you, but if you are automatically enrolled in a subscription and cancelling is as complicated as it was for you, that’s a big problem. I’m sorry to hear about your bad experience, but thank you for sharing it with us. Hello. Great review. I use monthly contacts, and one cost you left out was the nightly cleaning solution. Mine cost $15-$25 per month. Hi Jeff, that’s a great point. We often don’t consider the cost of cleaning solution when looking at the cost of monthly contact lenses, but you’re absolutely right that this cost cannot be excluded as cleaning your contact lenses nightly is essential.